The Kidnetics Project PCCW: How Do You Like Your Veggies? Raw, Baked, Steamed, Fried? How Do You Like Your Veggies? Raw, Baked, Steamed, Fried? Does it really matter how we prepare our vegetables? Do we get the same nutritional value from pan fried vegetables, steamed vegetables, and raw vegetables? The answer is no we do not get the same nutritional value from our vegetables through these different cooking modalities. This information almost seems hidden from us as a society. 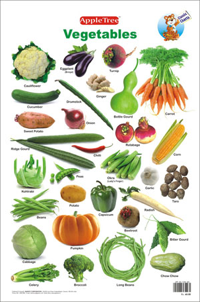 Almost all vegetables with a few exceptions have the most nutritional value if we eat them raw. For most Americans eating every vegetable we consume raw would be quite boring and for some unappealing. There are fortunately other ways in which we can eat vegetables and still get nutritional value out of them. The second best way to prepare those veggies is through steaming, next baking/roasting, and finally through sautéing/frying them. The key for all of these cooking methods is to not overcook them. The more you cook the vegetables the more nutrition that is cooked out of them. The unfortunate fact is that many vegetables have lost many of their nutrients by the time they reach our kitchen counter for a meal. Due to our mass production of foods in America the time between picking the produce and getting it to the consumer has increased significantly. Many nutrients are lost from our vegetables from being exposed to air and light during this time. The longer distance the vegetable travel means the longer they have been exposed to light and the longer they have been exposed to air. The best advice is to eat as fresh of food as possible from places like farmers markets or even your own personal garden. This eliminates the long distance that your produce has to travel to reach your plate. Another tip is to wash your veggies, but not soak them because many of the water-soluble vitamins can have a tendency to leach out. This is true for any liquid you place your veggies in from steaming them in water to sautéing them in oil. The vitamins often leach into the liquid and are discarded. For soups where that liquid is often used, not much of the nutrition is lost because they are then included back into the meal. Set a goal! What will you change to get the most nutrition out of your meal? How will you eat your next meal of veggies to benefit you the most? Perhaps raw or slightly steamed? 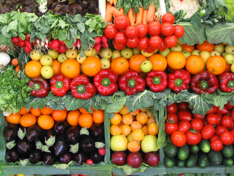 Maybe you will even use your weekend to visit a nearby farmers market and get fresh veggies!